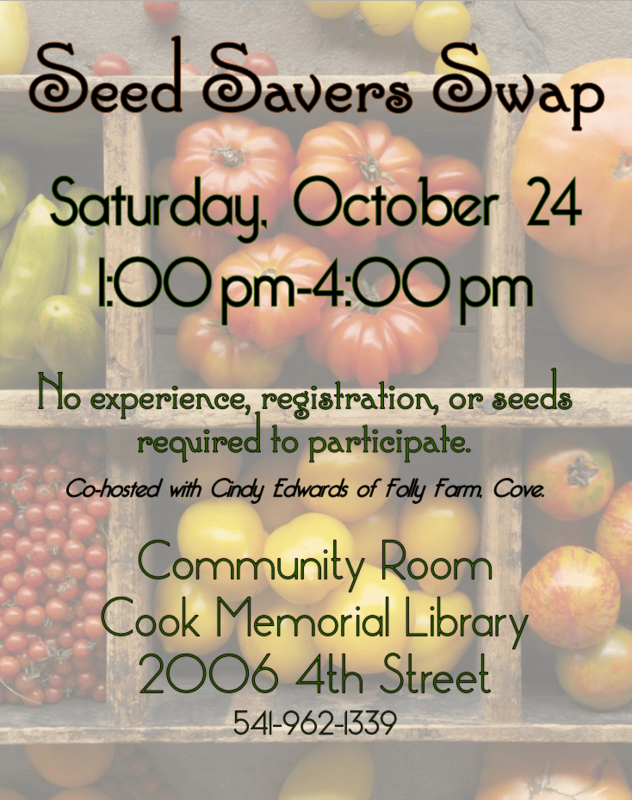 This Saturday we’re joining Cook Memorial Library in La Grande for our Fall seed swap, from 1pm to 4pm. Bring seeds to share if you have them, and glean seeds from fellow seed savers all around the Grande Ronde Valley. FREE for everyone of all ages all experience levels.